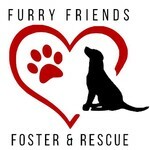 FFFR Medical Fund - Dedicated to Animals in Need! by Furry Friends Foster and Rescue, Inc.
Furry Friends Foster and Rescue, Inc. is a rescue dedicated to helping the animals who are in urgent need, primarily in the state of CT.
During 2015, our rescue has defined itself as one that isn't afraid to take on the hard cases - the animals needing medical care that goes way above and beyond normal "vetting" and spay or neuter surgery. We have taken on dogs who are badly emaciated, in need of extensive oral surgery, needing ACL replacement or repair, animals with growths requiring diagnosis and removal - and much more. It has become clear to us over the past year that in order to continue to help animals with serious medical issues - whether anticipated or emergencies - and to expand our mission to do so - we need to establish a dedicated fund upon which we can draw when needed. With the establishment of such a fund, we can be secure in the knowledge that we will have the ability to fund any necessary treatment for animals coming into our rescue, without having to fundraise for each individual situation. Funds from this fundraiser will be kept in a separate account, and will be used exclusively for extraordinary medical expenses. As we publish updates, we'll be highlighting the stories of some of the animals we've helped in the past year. In January, 2015, we brought three dogs into the rescue together (Nana, in the cover photo of this fundraiser, is one of them). In January, 2015 we rescued Nana, Daisy, and Jordon, from an empty, cold apartment in Waterbury CT . When we rescued these three wonderful dogs we had no idea what lay ahead - we just knew that we could not leave them to freeze in an empty apartment in the middle of winter. Nana was then about 7 years old - a mama who had given birth over and over again - in fact, Jordon is one of her offspring. Jordon was the youngster in the bunch - only about 2 years old. And Daisy - a dachshund -- was about 9 years old. The following day, we took Jordon to be neutered and Nana and Daisy to be spayed. In the course of evaluating them medically, we soon learned that spay and neuter would be only the tip of the medical iceberg for these three dogs. Nana had pyometra - an extremely serious infection of the uterus which, had she not been seen for only a few more days, would probably have killed her. Daisy had an extremely serious infection in her mouth, caused in part by a sizeable piece of rubber that was wedged between two molars. She had other teeth that were badly decayed, and also a growth on her abdomen that had to be removed and biopsied - thankfully, it was benign! After all was said and done, the bill that first day came to over $2,000. We put up a fundraiser, and with the help of the wonderful community of animal lovers on social media, and with the patience of the clinic, we paid the bill. We will be forever grateful both to everyone who contributed and to the medical staff and administration at Hope Spay / Neuter Clinic for working with us to give these three dogs the medical care they needed. In addition to the dental surgery Daisy had that day, she needed further dental surgery before her mouth would be healthy and she could be adopted. We had that done, as well. Today all three dogs are happy and healthy, and loved beyond measure in each of their wonderful forever homes. We get frequent updates about each of them, and smile widely every time we see new pictures and receive news of the lives they're living today. As an approved 501c3 public charity, all donations are tax deductible.